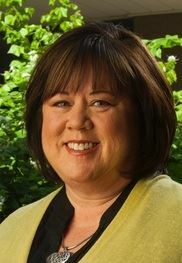 Dr. Kathy Wiebke serves as the executive director of the Arizona K12 Center. Prior to joining the Center, she was the deputy associate superintendent for highly qualified professionals at the Arizona Department of Education, a principal, and a classroom teacher. Kathy earned a bachelor's degree in elementary education from Arizona State University and a master's degree in elementary education from Northern Arizona University. She earned her doctorate in educational leadership and policy studies from Arizona State University, focusing on quality teaching and teacher leadership in urban schools. Kathy was Arizona’s first National Board Certified Teacher with a Middle Childhood Generalist Certificate. For seven years, she served on the Board of Directors of the National Board for Professional Teaching Standards. She was a member of the NEA’s Commission on Effective Teachers and Teaching and NCATE’s Blue Ribbon Panel on Clinical Preparation and Partnerships for Improved Student Learning. Kathy was a recipient of the Christa McAuliffe Fellowship and focused on project-based learning through the creation of a native habitat on her elementary school campus. Kathy was recognized as an Ambassador for Excellence in Arizona’s Teacher of the Year Program and received the Disney American Teacher Award in the elementary category. Her classroom practices were featured in a learning series produced by Disney. Most recently, Kathy served as the Executive Producer of The Mitchell 20, a documentary focused on 20 teachers seeking National Board Certification or its single entry alternative, Take One. The documentary highlights teaching in America and the struggle for teacher quality.